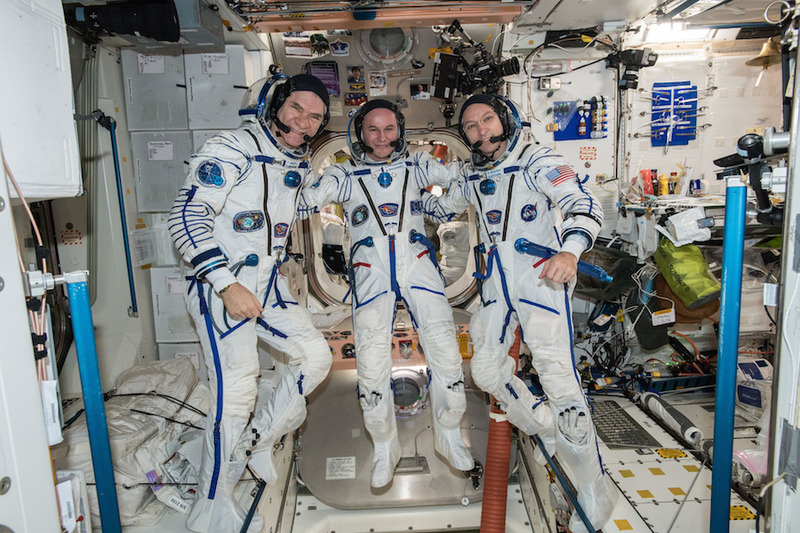 Three days later — early Sunday morning U.S. time — three fresh crew members are scheduled for launch from the Baikonur Cosmodrome a few hundred miles away, kicking off a two-day rendezvous. If all goes well, Soyuz MS-07 commander Anton Shkaplerov, NASA flight engineer Scott Tingle and Japanese physician-astronaut Norishige Kanai will reach the outpost early Tuesday, joining Expedition 54 commander Alexander Misurkin and NASA astronauts Mark Vande Hei and Joe Acaba. To clear the way for the upcoming launch, three current crew members — Soyuz MS-05 commander Sergey Ryazanskiy, NASA flight engineer Randy Bresnik and European Space Agency astronaut Paolo Nespoli — plan to undock from the station’s Earth-facing Rassvet module at 12:14 a.m. EST (GMT-5) Thursday. With Ryazanskiy at the controls in the descent module’s center seat, flanked on the left by Bresnik and on the right by Nespoli, the Soyuz MS-05 spacecraft will move a few miles away before firing its braking rockets at 2:44 a.m., slowing the ship by 286 mph and dropping the low-point of the ship’s orbit deep into the atmosphere. After a half-hour free fall, the Soyuz’s central crew module, still moving at nearly five miles per second, will slam into the discernible atmosphere at an altitude of about 62 miles, rapidly heating up and slowing down for a parachute and rocket-assisted touchdown near the town of Dzezkazgan at 3:38 a.m. Forecasters are predicting several inches of snow with winds gusting about 20 mph and temperatures near zero at the landing site. Russian recovery crews, including NASA flight surgeons and other personnel, will be deployed nearby to help the returning astronauts out of the cramped descent module as they begin re-adjusting to gravity — and cold winter weather — after nearly five months in the climate controlled, weightless environment of the space station. After quick medical checks and satellite phone calls home to friends and family, all three will be flown by helicopter to Karaganda. From there, Ryazanskiy will fly back to Star City near Moscow while Bresnik and Nespoli board a NASA jet for the long flight back to Houston for more medical checks and debriefing. Assuming an on-time touchdown, Ryazanskiy, Bresnik and Nespoli will have logged 138 days 16 hours and 57 minutes off planet since their launch from Baikonur on July 28, completing 2,224 orbits while traveling some 59 million miles. 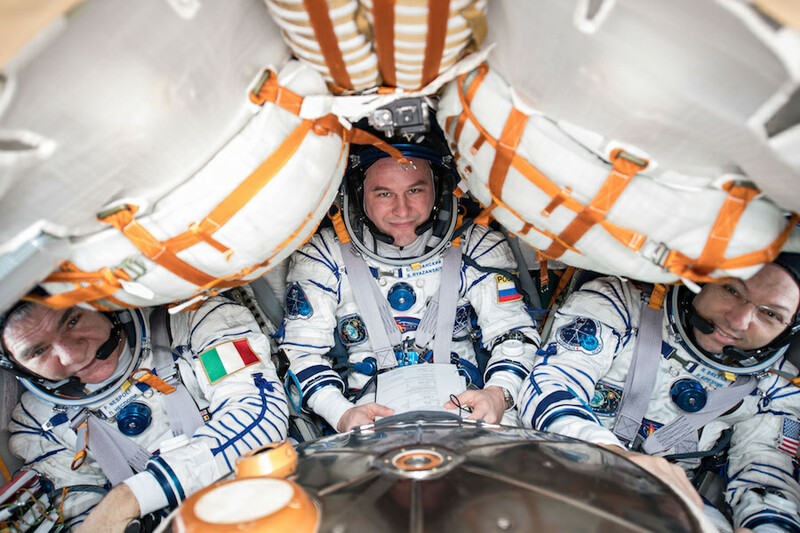 Ryazanskiy’s total time in space will span 306 days over two flights, Bresnik’s total, including an earlier shuttle flight, will stand at 150 days while Nespoli’s mark will stand at 313 days over three space flights. During their time aloft, the crew welcomed four cargo ships and one Soyuz. Ryazanskiy participated in a seven-hour 34-minute spacewalk while Bresnik participated in three U.S. EVAs totaling 20 hours and 10 minutes in the vacuum of space. And they marked the 60th anniversary of the launch of the Russian Sputnik, the world’s first artificial satellite. The International Space Station, which weighs nearly a million pounds and stretches the length of a football field will be remembered “as the greatest technological achievement in the history of human kind to this point,” he said. With the Soyuz MS-05 crew back on the ground, the Russians will turn their attention to readying the Soyuz MS-07 spacecraft for launch from Baikonur early Sunday U.S. time. The Russians normally like to separate a landing and the next launch by a week to 10 days and the Soyuz MS-07 launch originally was planned for Dec. 27, a date that would have allowed the crew to reach the station a few hours after launch. But Russian managers moved it up to Sunday to avoid end-of-year holiday conflicts. 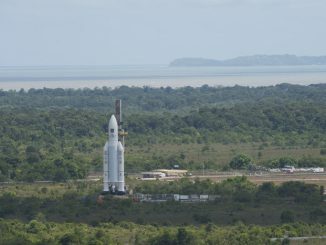 “Since Dec. 25 is a big holiday, it’s Christmas in the U.S. and pretty much all of Europe, people want to spend time with their families, recently they moved our launch date to the left by 10 days,” said Shkaplerov, the vehicle commander. Launch is targeted for 2:21 a.m. EST (1:21 p.m. local time) from the same pad used by Yuri Gagarin at the dawn of the space age. 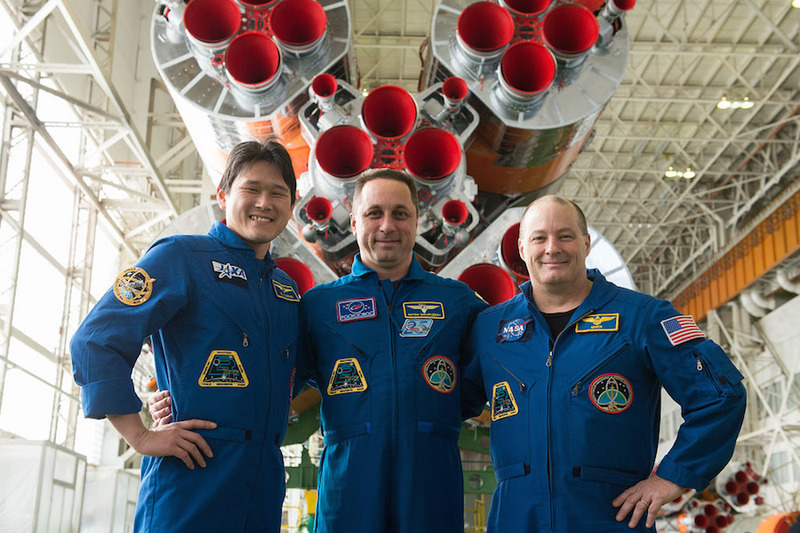 As commander, Shkaplerov will be strapped in the center seat, flanked on the left by Tingle, serving as the flight engineer, and on the right by Kanai. A veteran Navy test pilot, Tingle will serve as co-pilot during launch and landing. As such, he has to know how to fly the craft on his own in an emergency — a tall order when training in a second language. “There are a lot of things you have to train for, and speaking the language is critical,” Tingle said in an interview. “And while I have worked extremely hard on learning the language as much as we can, it’s very hard for me. … It was a huge load to learn the academics, to get through all the exams. “I’ve gotta tell you, I would not have made it had it not been for Anton Shkaplerov, who was absolutely a brilliant commander and meets me halfway when he has to. He pushes me to make it as far as I can and then when he sees it starting to break down he’ll step in and meet me halfway. Due to the space station’s location at launch time Sunday, the Soyuz MS-07 crew will fly a 34-orbit rendezvous, catching up with the outpost early Tuesday and docking, at 3:43 a.m., at the same Rassvet port vacated by the Ryazanskiy’s crew three days earlier. They will be welcomed aboard by Expedition 54 commander Misurkin, Vande Hei and Acaba. For Tingle, getting to carry out research in space is the main objective. 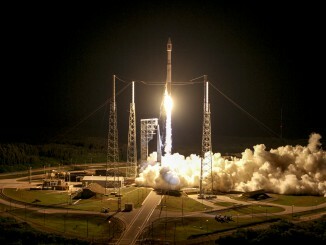 “At any given time, there’s on the order of 250 experiments that are happening on board space station,” he said. “It’s a very busy laboratory. Some of the specific human research that I’ll be working on includes a look at the spine. When we get in space our spines extend a little bit, and so we’re trying to see what the big impacts are. 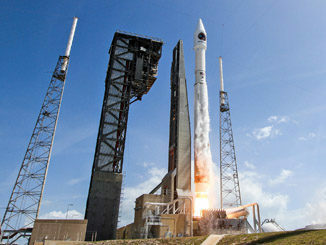 He also will take part in an experiment to remotely control a robot in Germany from his perch aboard the space station. “The one experiment I’m really looking forward to is operating the robot named Justin in Munich,” Tingle said. “This program is set up to simulate operating a robot on the Mars surface as our space vehicle is orbiting Mars so that we can explore before we actually put boots on the ground. Along with a full slate of experiments, two spacewalks are planned Jan. 23 and 27 to continue ongoing work to replace the grapple-like “hand” on one end of the station’s robot arm. A Russian Progress cargo ship is set to arrive Feb. 11 and the Soyuz MS-06 crew — Misurkin, Vande Hei and Acaba — plan to return to Earth Feb. 27. Shkaplerov will take over from Misurkin as space station commander and will welcome three fresh crew members aboard — Oleg Artemyev, Drew Feustel and Ricky Arnold — when their Soyuz MS-08 spacecraft arrives March 10. Three days later, a SpaceX Dragon cargo ship is scheduled to arrive and on April 18, Shkaplerov, Tingle and Kanai are expected to return to Earth to close out a 122-day stay in space. And the crew rotations will continue. All told in 2018, three Russian Progress cargo ships are scheduled for launch, three SpaceX Dragon supply ships and two Orbital ATK Cygnus space freighters. Four Soyuz crew ships are scheduled for launch and, if all goes well, SpaceX and Boeing will launch their new commercial crew ferry ships on test flights, including two with astronaut crews on board. “Research will be ongoing hot and heavy,” Kirk Shireman, space station program manager, told reporters looking ahead to 2018. “We have two spacewalks planned for January … we have three Progresses, four Soyuzes, we have a number of SpaceX Dragon and Cygnus flights and in addition, we’ll be preparing on orbit for commercial crew flights.